I've been subscribed to Birchbox for about 4 months now (I think!) and I can't bear to throw away those beautiful, sturdy, kraft paper colored boxes. They are great for storing things - make up, crochet stuff, etc. I use them as big dividers in my junk drawer in my night stand & stored some make up in them but they are just so plain. I thought of two awesome ideas to recycle them! 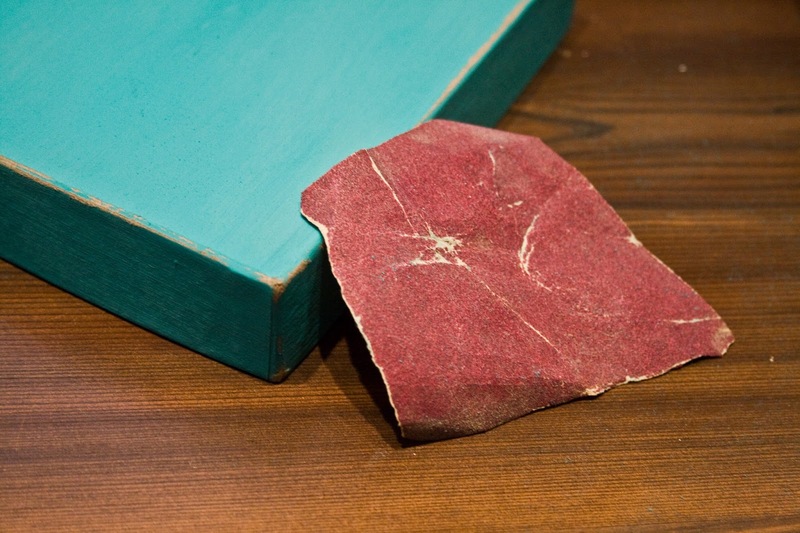 The first one this week uses paint & sandpaper to create a pretty distressed box you'll feel proud to display! 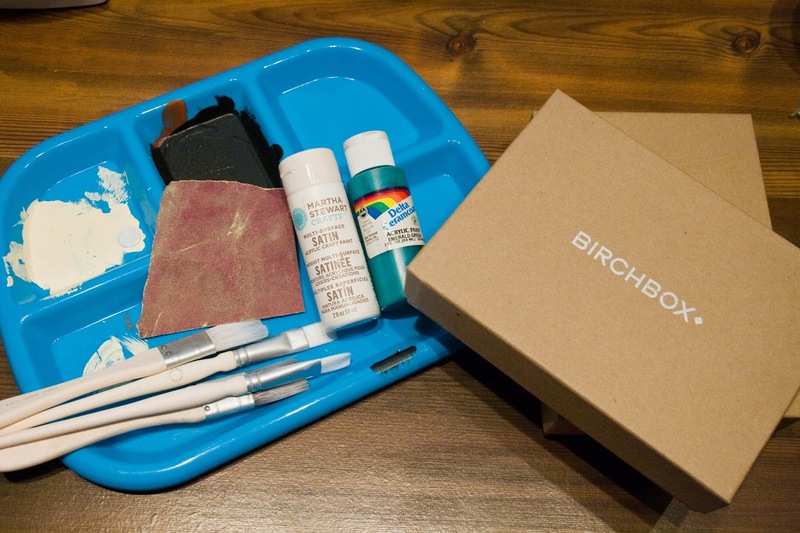 Supplies: acrylic paint, brush, palette, sandpaper, cardboard Birchbox box (or any other cardboard box). I used two shades of acrylic paint to make a two toned box & the sandpaper I just grabbed from the garage. It doesn't matter if it's new or used, you just need something with some grit to it. This DIY couldn't be simpler: Paint your box (2 coats is best) & let it dry. Once it's dry, take your sandpaper & distress it! 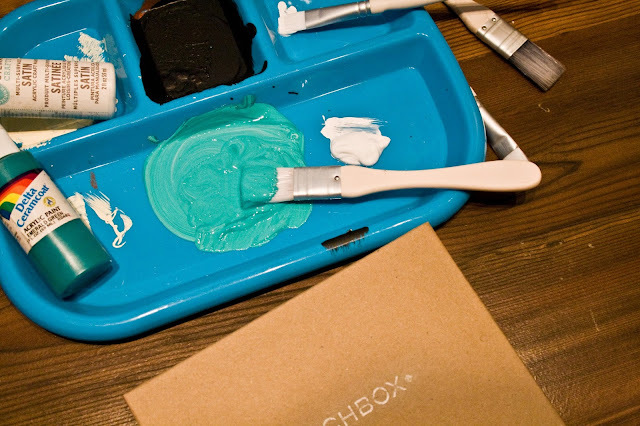 Sand the obvious places like the corners/edges but if you're looking to take the glossy sheen off the paint you've used take the sandpaper lightly over the entire box. This gives it a subtle distressed look & makes it look not so new. If you have a bunch of these boxes you can make a matching set or paint a few in the same style to create an eclectic mix. You could also paint your favorite quote on the top! 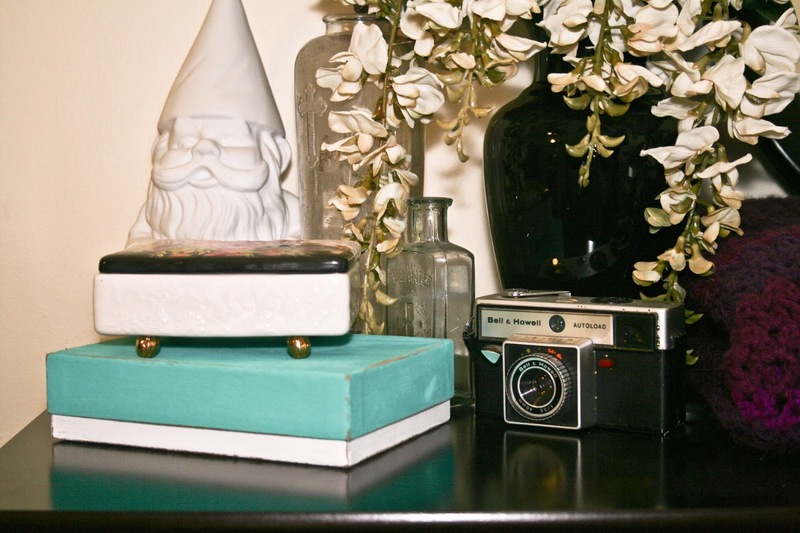 These boxes are just great to store all the little bits & bobs that you can collect! I think they are perfect for extra makeup that you aren't using. 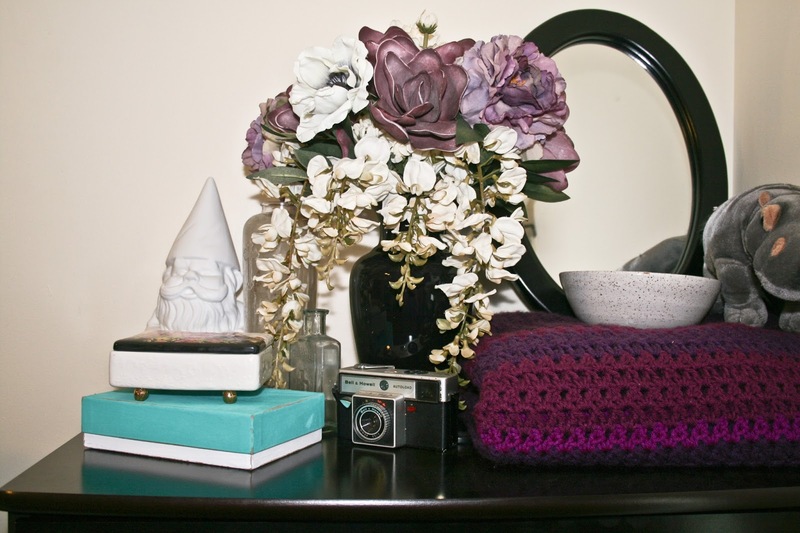 How do you recycle your subscription boxes? Love this! You are sooo creative.